Hello crochet friends, how are you this week? Have you learned new things this week? If not, do not despair, pick up your crochet needles and let us learn a new crochet pattern today and increase your knowledge and experience in this beautiful world of skill that we both love, is not it. We should always seek to know new things, new techniques to better develop our abilities and also increase our knowledge about something we love and is in our routine. I always stay on the internet researching new techniques and the news that are emerging. 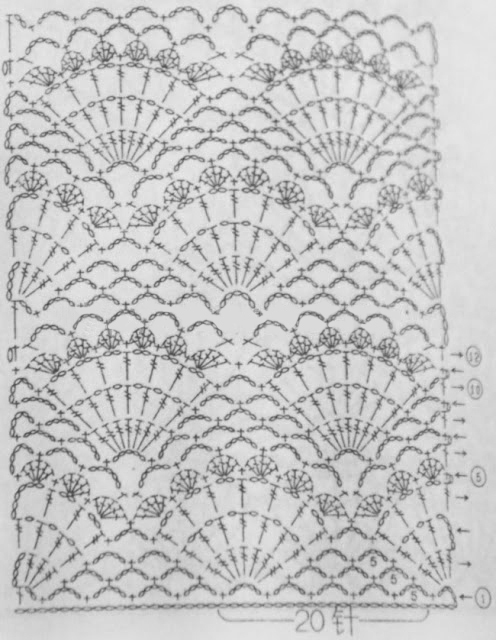 Browsing the internet, I found this wonderful pattern and caught my attention by your designer, and you can use it in various pieces that are made of crochet or even spruce with crochet appliques. I separated the graphic and the image to share with you and also share with your crocheteras friends too. So grab your hooks and wires and learn a new pattern for our collection and our knowledge. To learn, keep reading. The crochet pattern I bring to you in this matter is an amazing point that is known as Stitch Open Skies. It is a free spot some call it a shell too but a shell is more like the point Shell that is a more open and detailed point on its edge leaving it more delicate. 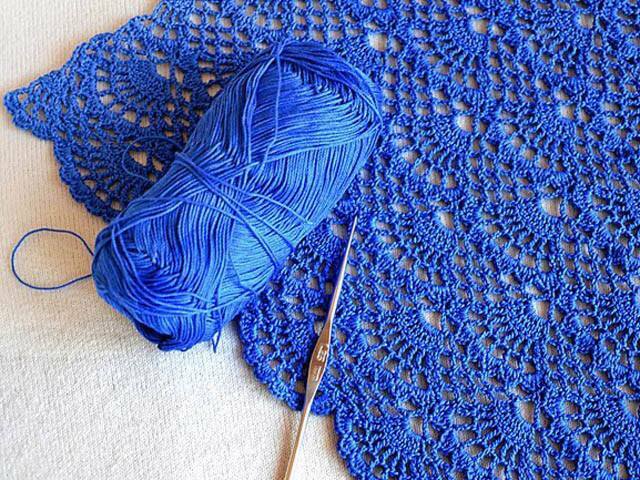 This point is lovely for being delicate and different, so points make me more passionate about crochet because they are beautiful and made with hands. We can do wonders with our hands. Some people call this pattern of crochet also of Shells but the Shell point is more rounded and this one is wider and with details in its edge so I do not think it is equal, if put a point of the side of the other we will see the difference. 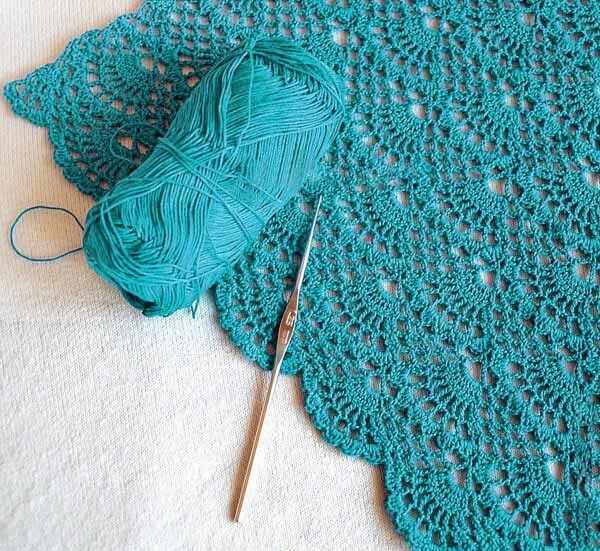 I found this pattern wonderful because you can make a beautiful shawl and put embellishment on the tips of other crochet things. This point can be used for several different pieces such as it can be used to make table path, scarves, baby blankets, sweaters, dresses and many other things that your imagination command. This pattern of crochet is simple, only necessary attention not to get lost in the counting of the points but nothing difficult. If you already have experience in crochet at least knowing the main points you will do this pattern normally with ease, if you are a beginner will slow down more will achieve and as he was understanding after a time points and decorating, will go faster. Enjoy and do amazing patterns with this point, take your materials and start to crochet, I suggest making a beautiful shawl, you can decorate it as you prefer with other crochet appliqués or go flat without more details, because this spot alone is already beautiful. 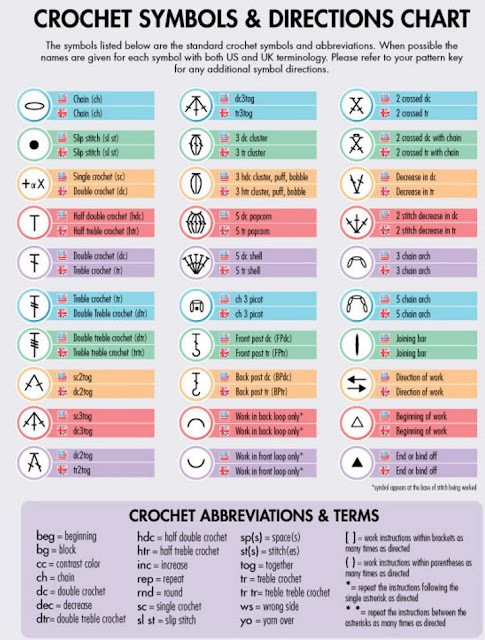 As I know some people have a hard time reading graphics, I've left out a list of symbols and their meaning, it will help you with any patterns you make and will help to make this that I left for you the graph of how to do it below. Enjoy our fanpage Xell Crafts and stay inside everything we posted and bring novelty.